Tropical Storm Mock has moved across the Yucatan peninsula into the far south central Gulf of Mexico. At 10AM CDT Tropical Storm Mock was located at 21.5N 89.7 W or 650 miles southeast of JSC. Mock was moving north at 9 mph. Maximum winds are 60 mph northeast of the storm center. TS Mock is forecast to continue moving to the north today but a slight turn more north northwest is anticipated tomorrow. 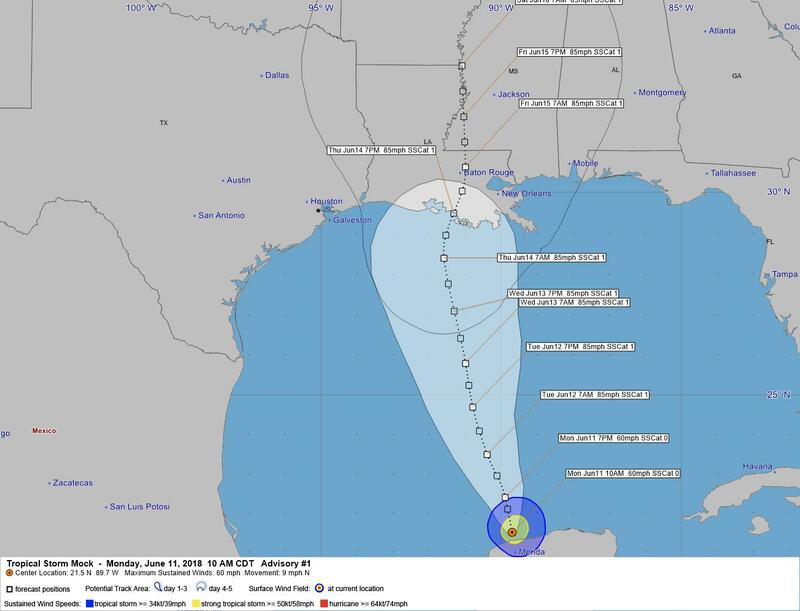 JSC remains just outside of the cone of error in the 3 to 5 day range.